Are you ready for March Madness? College basketball fever is about to sweep the nation, and AmeriCash Loans has your guide to top rated Men’s NCAA teams, important dates for 2017 March Madness, and where you can catch the games in Chicago. The No. 1 seed University of North Carolina Tar Heels are entering March Madness at the top, despite their recent ACC Tournament upset to Duke. Experts note that UNC has an easy path to the Elite Eight, but might face challenges from lower seed teams from thereon out. UNC’s lack of consistency has some worried and might shake up brackets this year. The No. 1 seed (and overall top pick) Villanova Wildcats are set up for success in this year’s March Madness tournament. They’ve won a number of important games, including the Big East title game against Creighton, and have players with experience in the NCAA Men’s Championship from last year. The Wildcats are also one of only four teams in the U.S. that rank in the top 20 in both adjusted offensive efficiency and adjusted defensive efficiency, in accordance with the Ken Pomeroy college basketball rankings. With their 31-3 overall record, they’re definitely one to watch during March Madness. Experts see Villanova making it to the Final Four at the very least. The West Virginia Mountaineers are the No. 3 seed entering the NCAA Championship after losing the Big 12 championship to the Iowa State Cyclones, who are now the No. 5 seed. Moving into the No. 3 seed is a huge win for WVU, as it’ll move them away from facing Gonzaga or Villanova in the No. 1 seed ledger this week. Many believe they’ll make it to the Elite Eight at the very least because of this advantage. One of the Mountaineer’s biggest edges in the tournament is their strong defense, led by Jevon Cater, Big 12 Defensive Player of the Year. The No. 1 seed Gonzaga Bulldogs are definitely a favorite in March Madness 2017, making this year’s 32-1 season look like a cake walk. The Bulldogs spent the year beating their opponents by large margins, and are the only team in the U.S. that ranks of adjusted offensive efficiency and adjusted defensive efficiency per the Ken Pomeroy rankings. The only doubts about Gonzaga come from a history of losing quickly as a high seed, but experts predict they’ll make it to the Final Four, if not the Championship, this year. March 14-15, 2017: First Four games of March Madness begin in Dayton, Ohio. Kincade’s Bar and Grill, located in Lincoln Park, welcomes Kansas fans home. Crew, located in Uptown has 24 HDTVs so you never have to miss a game, even during the round of 64. Dark Horse Tap, a bar for Maryland fans, is located near Wrigley Field and usually offers food and drink deals during March Madness. The Fifty/50, located in Wicker Park, has 25 televisions and offers an elevated experience while you watch the tournament. Fireside, located in Ravenswood, is a little more laid back, but still pulls devoted basketball fans in. It’s also open late so you can drown your sorrows should your team lose and bust your bracket. Are you an Illinois fan? Head over to Joe’s on Weed in Old Town. Gamekeepers, located in Lincoln Park, and Mad River, located in Wrigleyville, are both bars for diehard UNC Tar Heels fans. Sully’s Public House, near North & Clybourne, is a place for Gonzaga fans to gather and cheer. Plus, they’ve got upscale pub food if you’re tired of traditional bar fare. Theory Sports Bar and Grille, an upscale Hubbard Street bar with awesome happy hour deals is a great place to watch West Virginia. 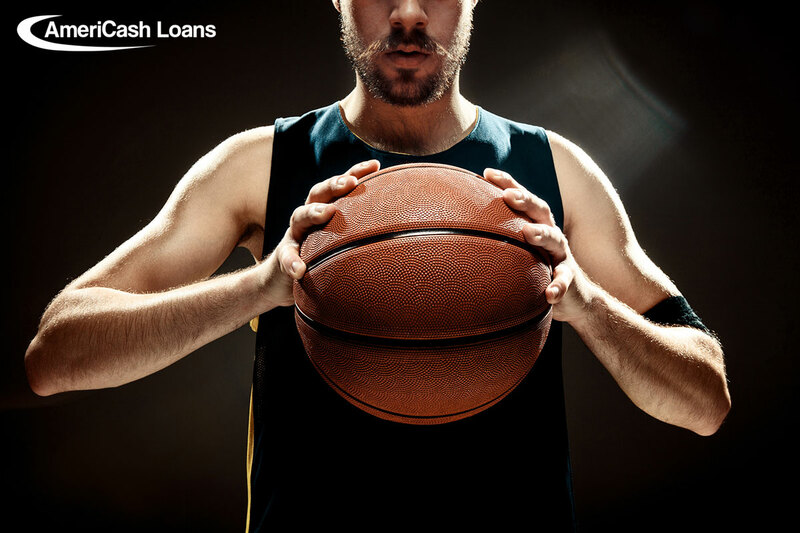 No matter which team you’re cheering for in the NCAA Championship, you can lean on AmeriCash Loans for help with fast cash. Apply online or in store to get up to $4,000 as soon as tomorrow.